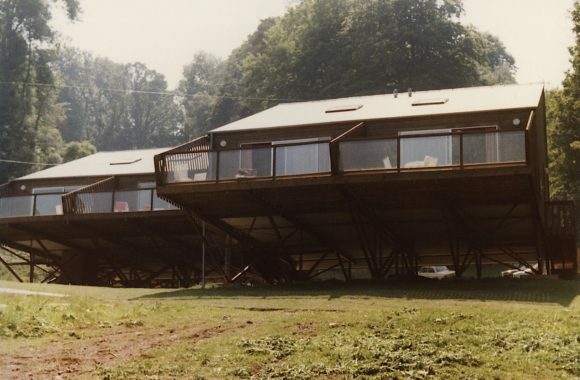 These delightful and unique holiday homes were designed by the Torbay architect Mervyn Seal (1930-) in 1976 for Sladnor Park, a holiday camp at Maidencombe, just north of Torquay. Seal’s early housing in the area was well-known locally by this point and his house at Parkham Wood (1960) had been the first to deliver mid-century design flair to the fishing port of Brixham. His network of local contacts and friends, boosted by his legendary parties and extravagant charity events, was impressive. One of his closest friends was Steve Bent, who with his family, owned and ran the popular holiday park and campsite at Sladnor. The camp was situated in a secluded sylvan enclave at the top of a valley that ran down to, and had expansive views over, the sea. The brief was, thankfully for Seal, rather open-ended. Bent asked him to design holiday dwellings for families to enjoy the sea views – and left the rest to Seal’s expansive imagination. The results represent the architect at his most imaginative and economic, while they fuse ideas from his domestic architecture with lightweight materials and rapid construction techniques. 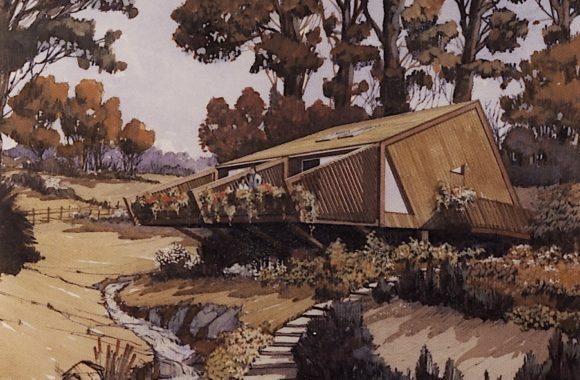 The overall shape of the individual lodges was striking and from the early concept designs, Seal settled on a wedge-shaped structure with the accommodation to the rear and an expansive balcony to the front, with the whole structure raised off the sloping ground by a steel box frame. 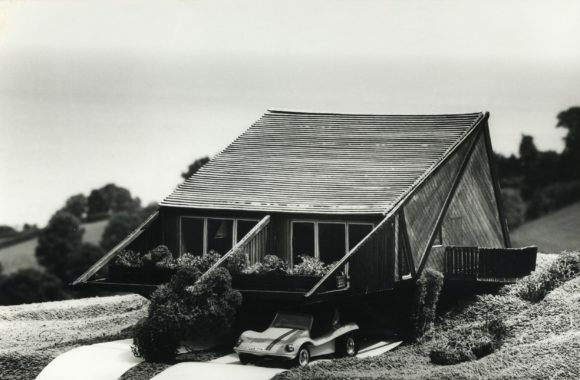 The ambitious early designs, shown in a surviving model, included a carport underneath, complete with a 1960s Sand Buggy for extra effect. Furthermore, Seal’s desire to include a series of hanging planters at the balcony edge – captured in the romantic drawing by Dale Geoff (which was submitted with the planning drawings) – also had to be reined in. But the essence of the buildings – paired holiday homes that sought harmony with their surroundings yet were unashamedly modern – remained. The interiors were plain, but well-planned, echoing Seal’s predilection for modulated interior spaces that were timber-clad in pine. By placing the kitchens and the bathrooms above one another and having an open-plan kitchen/diner/living room which led to the balcony, Seal gave the lodges a sense of space and connectivity to the panoramic views outside. The main entrances to the buildings were on the sides and the doors were approached by means of a gently sloping ramp. The rear elevations were steeply sloping and nestled the buildings into the landscape by hovering just above the grass; they were clad in slate and featured a series of windows over two floors. Each pairing was staggered on the hillside to maximise the views, and collectively they looked like something from the set of Star Wars – a group of futuristic vehicles descended on the Devon coastline. Seal’s abiding quality rests not simply on his ability to have got consciously modern design past the town councils of South Devon, which must have been a considerable feat, but in the relationship that he nurtured between modern form, traditional materials and local skills. 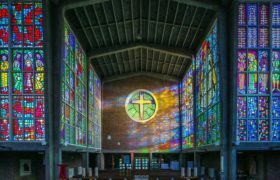 A close and consistent alliance between those vital aspects of the architectural process shot through all his work in the 1960s. The lodges at Sladnor echo those preoccupations, defining a modern language that is harmonious, modern and efficient. 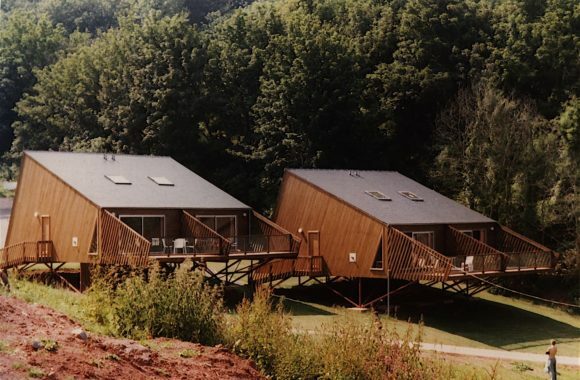 There can be no greater compliment than the fact that although built as holiday homes, the lodges have become permanent residences for many of the people who own them. Sadly under threat from a development that proposes complete demolition of the remaining ones, the lodges at Sladnor are a further reminder of Seal’s importance as a regional modernist. 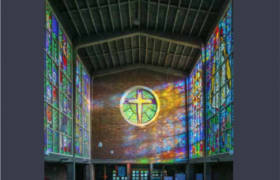 Jon Wright is a C20 Heritage Consultant with Purcell Architects. He was the caseworker for the C20 Society between 2006-12 and in that time, met Mervyn Seal and worked with him on the listing of some of early Seal houses in Torbay. Mervyn Seal still lives in Torbay and is actively engaged in planning and heritage issues through the Torbay Coastal Heritage Trust, an organisation he founded to protect Torbay’s heritage.